A spokesman for PA Chairman Abbas claims that Israeli construction in Judea and Samaria had caused peace talks to reach an impasse. A spokesman for Palestinian Authority (PA) Chairman Mahmoud Abbas said on Thursday that Israeli construction in Judea and Samaria had caused the U.S.-sponsored peace talks to reach an impasse. "Israel's settlement activity caused the negotiations to fail and led them to an impasse," the spokesman, Nabil Abu Rudeineh, told the AFP news agency. He was reacting to a report earlier that Israel had advanced construction plans for over 2,000 new housing units in six Judea and Samaria communities. The approved construction included 1,015 units in the communities of Leshem, Beit El, and Almog, and is only waiting now for Defense Minister Moshe Ya'alon's final approval. Thursday’s announcement came a day after a Jerusalem councilman reported that plans to build 186 new housing units in eastern Jerusalem had been "finalized." The units are planned for the neighborhoods of Pisgat Ze'ev and Har Homa. The PA consistently blames “settlement construction” as being an obstacle to peace. It does so despite the fact that it was informed in advance that Israel will continue to build as talks continue. The areas in which Israel plans to build are areas that even the PA has previously accepted will be part of Israel in a future deal. Abbas threatened two weeks ago that unless a building freeze was imposed on Jewish construction in eastern Jerusalem, Judea and Samaria, the peace talks would come to an end. Such a freeze was not stipulated as a pre-condition to resumed talks. 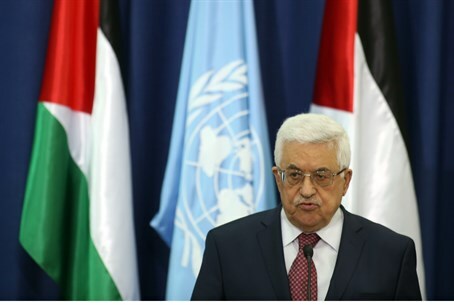 On Thursday it was confirmed that Abbas had presented another condition to continue the talks. A PA official said that Abbas demanded in talks with President Barack Obama that Israel free the most senior Palestinian Arab prisoners, including Marwan Barghouti, who is serving five life sentences for planning numerous terror attacks against Israelis.